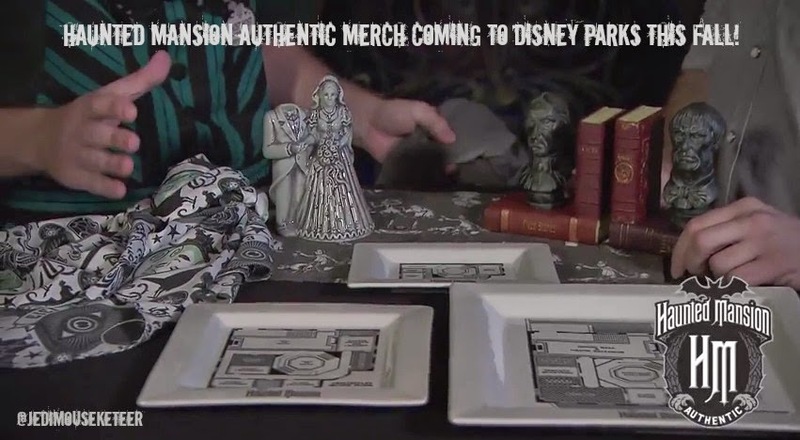 With all these boutique Disney-inspired artisan shops popping up all over the interweb I'm glad that the Disney Parks Blog is posting videos of new official, or should I use the term 'authentic' merchandise that will be hitting the parks in the near future. This new merch is really well designed drawing upon various attraction elements. Some of my favorites include the bookends and the green cast member costume t-shirt that Stephen is wearing. These items will surly make the day (or night) of any Disney Parks fans, especially those who love the Haunted Mansion. Which one of those new products is your favorite? Please let me know by commenting below.